You know someone that is a hero. Someone that wakes up each day and overcomes insurmountable odds. Perhaps someone that has sickle cell or someone that is a caregiver. Honor that person by making a contribution in their name and having it listed on the Tribute Page (under construction) on our web site. A testament to a life lived. Donate in the name of those individuals that have touched your life and at the same time give you an opportunity to contribute on their behalf. 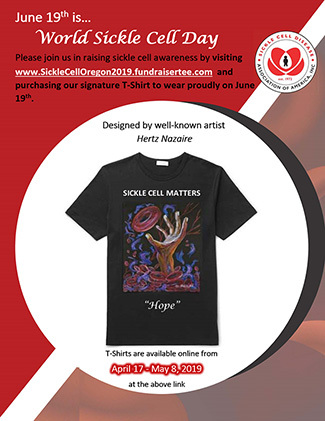 It is a way to share the faith that eventually a cure for sickle cell disease will be found and a personal battle that appears as a loss, is truly the encouragement to move one to action. Together, we are a multitude. Your gift, along with the generosity of others, gives us the power to affect change. You help us serve those with sickle cell in so many vital ways. Together, we can touch the lives of people that we may never meet, but can offer to them hope, energy and determination to lead their lives as we champion the way in finding a cure. Research, education and patient service endowments are available and are naming opportunities. Should you be interested in creating an endowment for a loved one, we would like to hear from you directly to discuss the size, nature and goal of your vision. These endowments are living legacies to those that have been so challenged throughout their lives. Give the gift of life. Donate blood for a person with sickle cell. Blood donation means so much to individuals struggling to survive their own personal crisis, and it’s something you can do to make a difference. Giving blood doesn’t take much time, and each donation has the power to save as many as three lives.